They say knowledge is power and there’s no better place to get knowledge than at a library. Where else can you have access to thousands of books and other materials and resources for free? Public libraries are also great places to get information on many special-interest topics or get involved in community events. The helpful staff at any of these public libraries in West Virginia will be more than happy to help you find what you seek. Offering access to over 12,000 books, materials, educational programs, and videos, and other free services, the Southern Area Public Library in Lost Creek, West Virginia, is a hidden gem. Education doesn’t just happen inside school walls, and that’s clear at this very popular and well-used library. Besides books, patrons can take advantage of the genealogy room, and fax, print, and copy services. And if you can’t make it to the library, you can order books and other materials online. This library is also the place where helpful workshops are offered, such as how to prepare your taxes and how to select books to read on the road. Open Monday through Friday, Mountaintop Public Library, located in Thomas, West Virginia, is a great place to find the answers to your questions. Do you want to know how robotics work, why animals act the way they do, or how to write a resume? Maybe you’re researching the history of the area or your own family and need help finding information. Even if you’re just looking for a good book to read, Mountaintop Public Library is the place to go. Comprised of seven different libraries, each with their own unique collections, and more than 30 digital collections, course offerings, and research aids, West Virginia University Library covers special interest areas like law, medicine, health sciences, government information, and history, as well as general knowledge. The libraries have some of the most extensive collections of material in the world, and became a literary landmark in 2006, because of the efforts to preserve the work of West Virginia poet Laureate Louise McNeill Pease. All libraries are open every day, but check the website for the specific area of interest, location, and hours. Located in the beautiful southern part of the Mountain State, J. Frank Marsh Library in Athens is home to more than 170,000 books and over 5,000 periodicals and part of Concord University. Open to the public every day, there are special collections of United States government documents, West Virginia historical materials, and numerous autographed photos and portraits of presidents and other famous people. Built in 1941, the library started out as a one-room location that provided books to people who came there. While not anywhere near being the largest library in the state or having the largest collection of special items and information, Piedmont Public Library in Piedmont, West Virginia has a unique history of its own. Established by the Woman’s Club of the area in 1960 and funded by the United Way, it quickly outgrew the one-room location where it started, indicating that there was a great need for a place that offered high-quality reading material and made learning and education a high priority. Listed on the Star Library list for the last five years, they have over 19,000 books, periodicals, and genealogical information free of charge. With more than 100,000 library card holders, Kanawha County Public Library is part of the largest library system in the state. All 55 counties in West Virginia are welcome to check out books and other lendable material in the nine branches and mobile libraries, and over 750,000 people visit each year. The vision of this library is to be the best source of free and accessible information to help and enrich people in their daily lives. Check website for location and branch hours. Glenville, West Virginia, is home to Gilmer Public Library, a small but popular source of books, DVDs, and more. The library is part of West Virginia’s Northern Library Network and a recipient of Dolly Parton’s Imagination Library, one of only four libraries in the state that were honored with reinstatement. Through this program and the non-profit organization behind it, children of all ages benefit from having free books and opportunities for education from the earliest age. 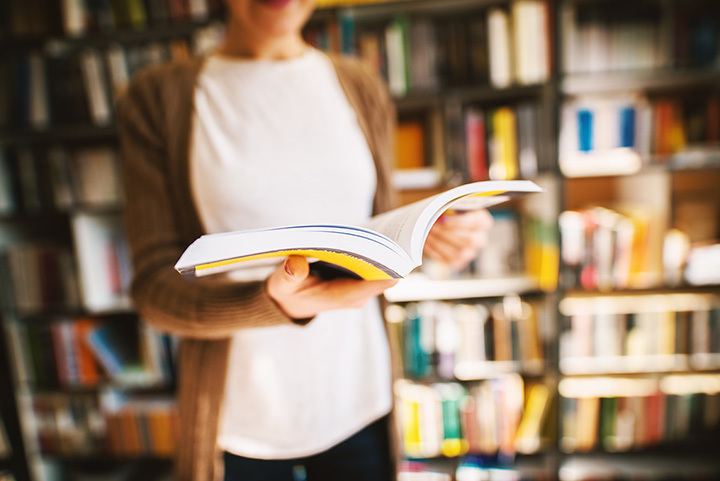 Created to help area residents find personal, professional, and educational materials that will enrich their lives, Barboursville Public Library is affiliated with the Western Counties Regional Library System in the Southwestern part of the West Virginia. They have digital collections, online resources, adult and youth services, local history information, free online classes, and a reading book club, and anyone can borrow up to 20 items at a time. Children need parental permission. The library has winter and summer hours, so check the website to make sure of times. Literally located on the mountain top in Mt. Storm, West Virginia, the Allegheny Mountain Top Public Library represents the dream to have a place where people of all ages could come and find resources that would enable and improve their lives. The library does that by offering more than 25,000 books and VHS, DVDs, magazines, and other collections. Patrons have free online access and there are always helpful human interest workshops and programs scheduled for the general community. If your idea of paradise is a library, then you’ve found the right place. Raleigh County Public Library in Beckley, West Virginia, is home to free online access, Internet-ready computers, a copy machine, fax machine, notary services, newspapers, genealogical research, free tax forms, interlibrary loan services, access to multiple interstate and out-of-state directories, and so much more. Student library cards are available for ages one to 17, and adult cards are available for ages 18 and up. You’re never too young or too old to benefit from the library.